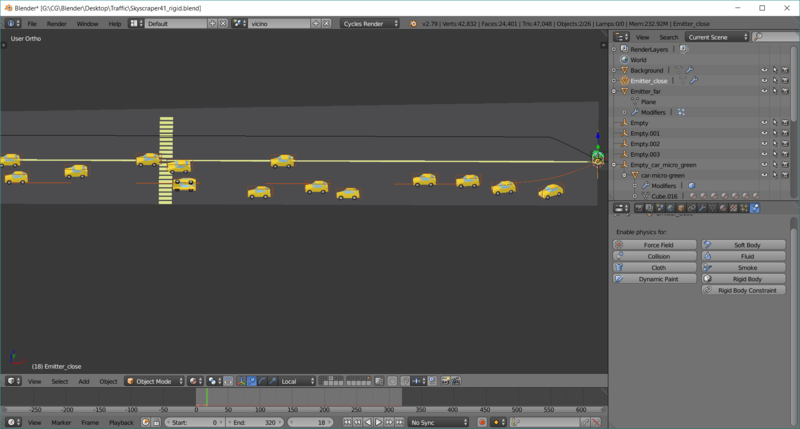 About how to improve / fix errors on the tutorial "Quick and Easy Traffic Simulations in Blender! CGC Weekly #19"
BTW my enviroment consists of a two-lane road. 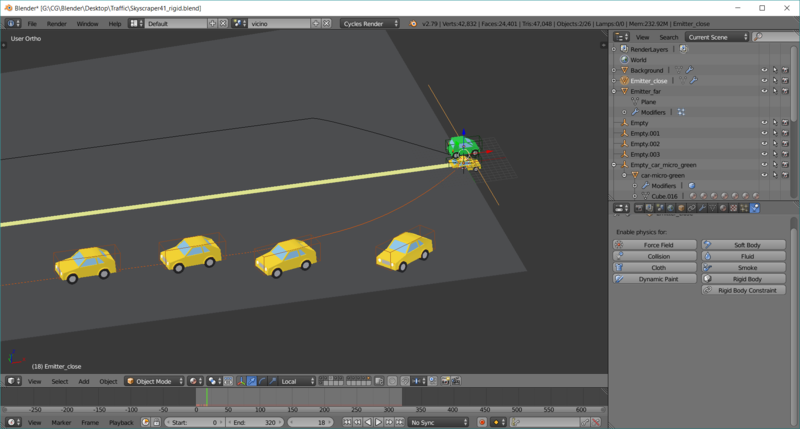 I wanted the cars crossed both lanes in opposite directions,so I created two planes called emitter_close and emitter_far with two different particle systems attached. 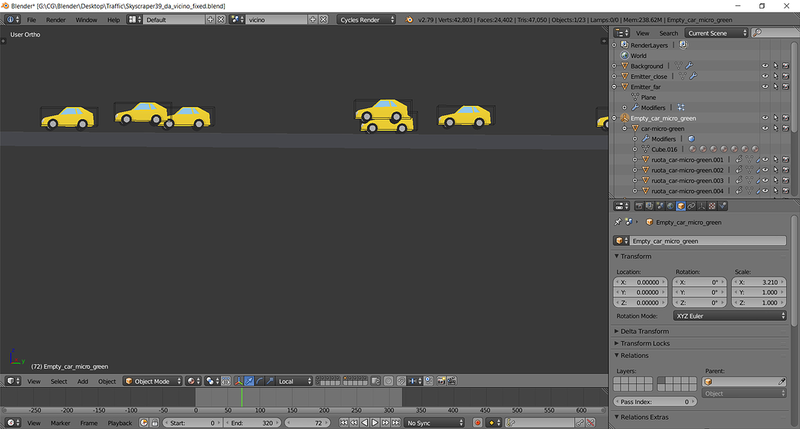 Below you can see how is working the simulation : Is there a way to position cars better than now ? because when they are emitted,some of them cross the ground and some others walk too far above it… thanks. Nice work adding the drivers to the wheels! I can't see the emitter in the picture, but my guess is that it's at least a little bit tall, and so the cars are coming out of anywhere on the face. 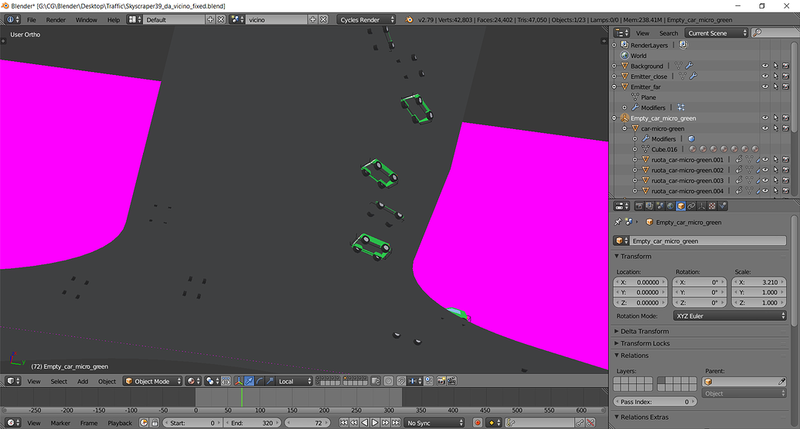 Try making it just a subdivided line with no thickness, and emit from the verts instead of from any faces. 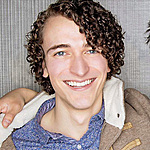 and,please,can you explain what should I do in easily understandable terms to fix the error ? thanks. jlampel : i've modified the emitter like you said. it seems better now,but its not perfect. 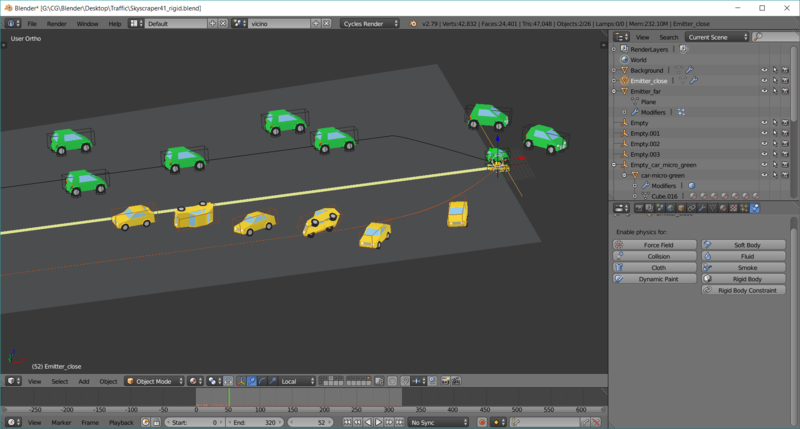 mmarietto Ok I played with this a bit, and I'm really not sure why the cars are rotating when emitting from vertices. A solution that does seem to work though is scaling the emitter down along the Z in edit mode until it's almost a single edge but not quite.